Whether you've developed a new biotech product or want to incorporate another company's intellectual property into one of your own technology products, you'll soon find yourself navigating the complex world of IP licensing. Even with a qualified intellectual property attorney guiding you through the process, you should become familiar with IP licensing basics. Here's what you need to know to before you start. 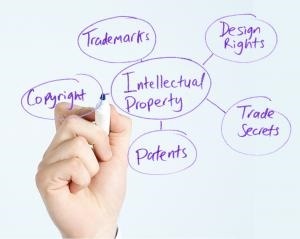 IP rights refers to the ownership rights of intellectual property such as a patent, trademark, or copyright. As the owner of intellectual property, you control how your intellectual property is used by others. IP rights can be "licensed" to others in exchange for an agreed upon fee often called a royalty. For example, if you own the copyright to a book you authored, a movie studio cannot produce a movie version of your book without first entering into an agreement with you. The same is true if you hold IP rights to a vaccine, operating system, algorithm, or anything else for that matter. When you and another party reach an agreement, you will need to create a formal legal document. These agreements are generally referred to as Intellectual Property licensing agreements, technology license agreements, copyright license agreements, or trademark licensing agreements. In many cases, multiple Intellectual Property licensing agreements will need to be signed as multiple rights may be involved. Why Enter into an IP Licensing Agreement? If you are an IP rights owner, licensing rights to your property can bring in additional revenue as well as allow your company to grow. If you are a licensee, licensing another company's technology allows you to create and sell products and services you wouldn't have been able to do without access to that technology. In addition, if your company is involved in a merger or acquisition, you may need to sign multiple Intellectual Property licensing agreements as part of the deal. You've approached another party and both would like to enter into an agreement, now what? -Start by getting an IP attorney. -Gather documents such as product sheets, specifications, patent abstracts, protocols, and other relevant information and place them in a secure virtual data room. -Require non-disclosure agreements before sharing sensitive information. -Conduct due diligence. For example, does anyone else own the underlying technology? Is the intellectual property protected in other countries? -Determine what rights will be exchanged and whether they will be exclusive or not. -Determine and negotiate a fair fee. Finally, have your IP attorney review, revise, and ultimately approve all Intellectual Property licensing agreements and contracts before you sign anything.